Fall is in the air, and with it, cooler temperatures and the beginning of oven season! Of course the oven works just fine year round, but as I’ve mentioned in the past, our kitchen is quite small. Our window-mounted air conditioners are no match for the oven on an 80+ degree day. I make lasagna for large groups of friends, and sometimes, just for Evan and me. Leftovers never go to waste. We stow them away in the freezer to enjoy at a later date. Once defrosted, it reheats well in the oven or the microwave, depending on how much time you have. An exception to the summer oven rule? Every year I make a batch of lasagna in August for Lollapalooza weekend. For the past seven years Evan and I, along with friends, have trekked downtown to Grant Park to enjoy three wonderful days filled with music from around the world. We arrive home late at night, dirty and hungry. 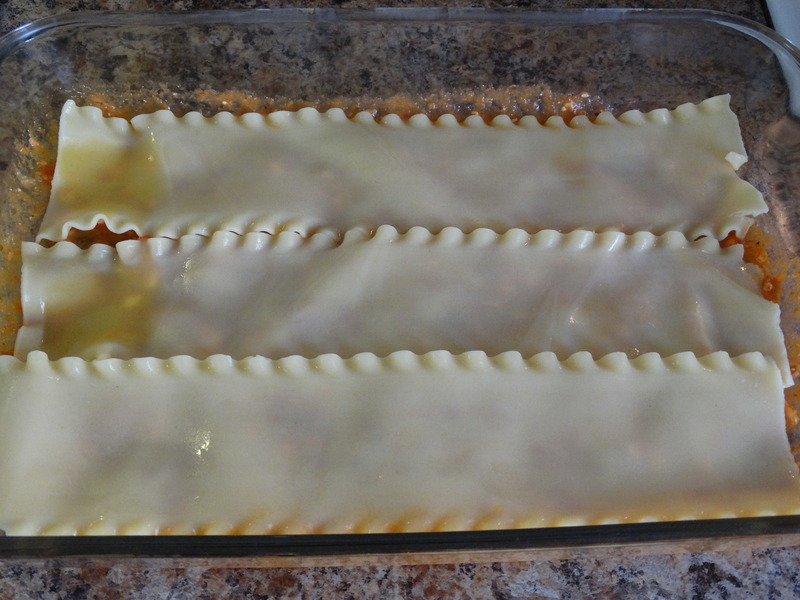 I throw the lasagna (prepared beforehand) in the oven while we clean up, then we all dig in! This method of preparing lasagna may be a little different than you’ve seen before, but it is easy and fast. I don’t like a dry lasagna. I never use the “oven ready” noodles, because they absorb all of the moisture from the sauce. I prefer cottage cheese to ricotta because it mixes in more evenly without getting lost in the sauce. And I always use two jars of sauce. Preheat your oven to 350 degrees. Bring a large stock pot filled with water to a boil. Add your lasagna noodles and cook until al dente. 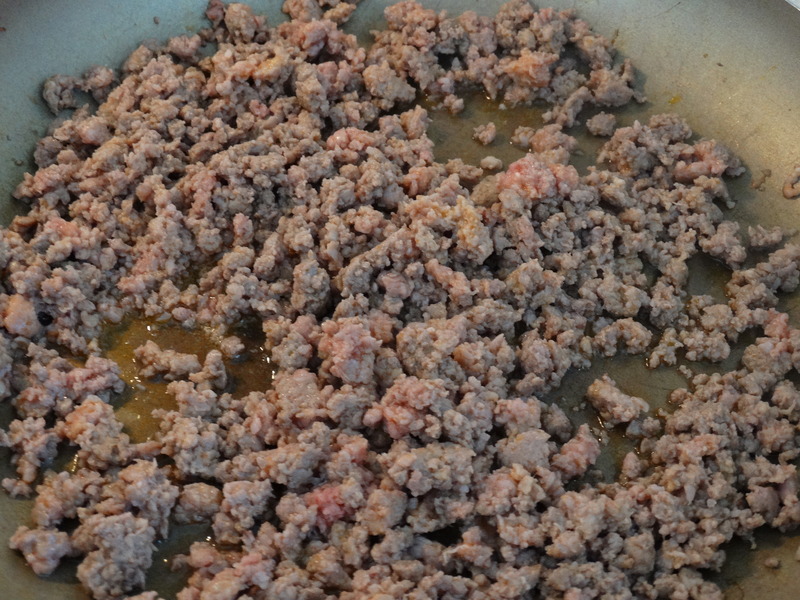 While the noodles are cooking, brown 1/2 pound each of ground sirloin and spicy Italian turkey sausage in a skillet. Use a spatula or wood spoon to crumble it as it cooks. Mince or press 4-5 cloves of garlic, setting it aside. When your noodles are done, drain them into a colander and run them under cold water. This will stop the cooking process and make them much easier to handle when you assemble your lasagna. Using the same stock pot you cooked the noodles in, add two 24-ounce jars of your favorite pasta sauce, your browned meat, 2 cups shredded mozzarella cheese, the minced garlic, one 16-ounce package small curd cottage cheese, and 1 teaspoon Sriracha hot sauce. Use a large spoon or laddle to stir everything together. No wasted time layering sauce and cheeses here! 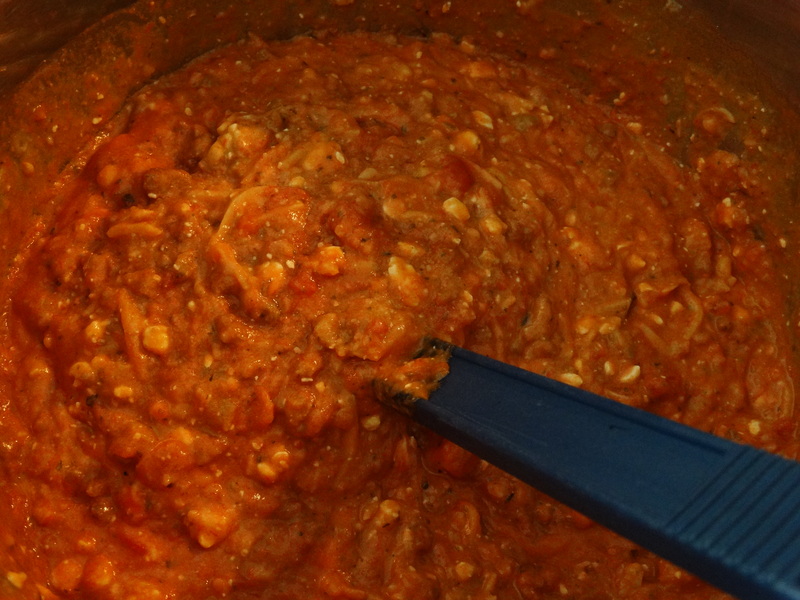 Ladle one cup of sauce into the bottom of a 9″ x 13″ baking dish. Spread it around to coat the bottom of the dish evenly. Add one layer of noodles over the sauce. 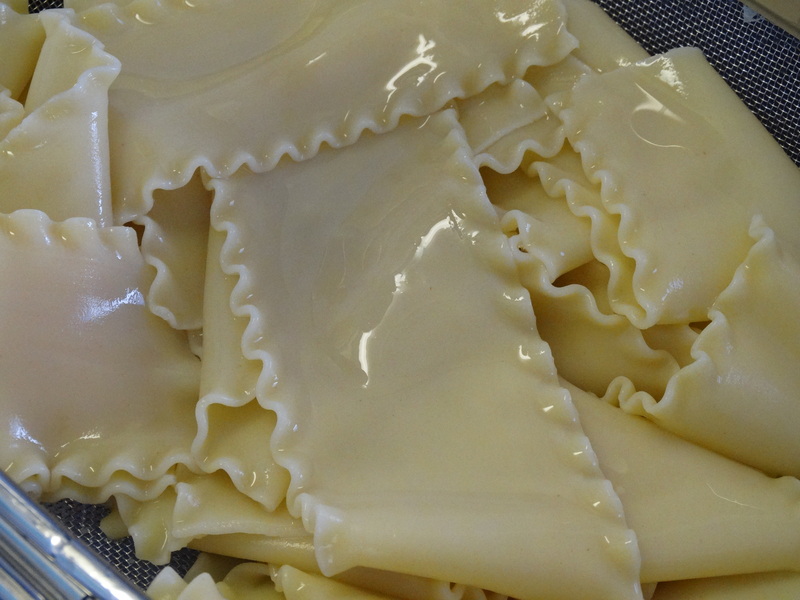 Three standard size lasagna noodles should work perfectly. Add 2-3 cups of sauce, spreading it evenly. Layer with more noodles, then sauce, then noodles…you get the picture. Keep layering until you are about a half inch from the top of your dish. Top your lasagna with any remaining sauce. Then sprinkle it with a handful of mozzarella and a cup of shredded or shaved Parmesan cheese. Spray the underside of a sheet of foil with cooking spray. This will help prevent the delicious cheeses on the top of your lasagna from sticking to the foil. 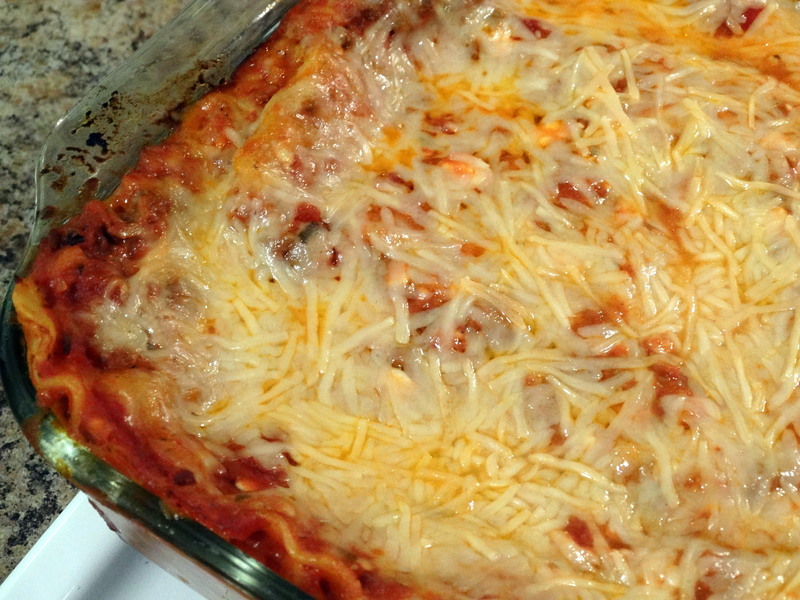 Cover the lasagna and bake for 45 minutes or until bubbling. Remove the foil and cook for an additional 15 minutes to brown the top. Who’s ready to eat?!? Let it cool for about 10 minutes prior to cutting and serving. As I mention above, I don’t care for a dry lasagna. It will be gooey and messy…and AMAZING! Enjoy! 1) Preheat your oven to 350 degrees. Bring a large stock pot filled with water to a boil. Add your lasagna noodles and cook until al dente. While the noodles are cooking, brown 1/2 pound each of ground sirloin and spicy Italian turkey sausage in a skillet. Use a spatula to crumble it as it cooks. Mince or press 4-5 cloves of garlic. 2) When your noodles are done, drain them into a colander and run them under cold water. Using the same stock pot you cooked the noodles in, add two 24-ounce jars of your favorite pasta sauce, your browned meat, 2 cups shredded mozzarella cheese, the minced garlic, one 16-ounce package small curd cottage cheese, and 1 teaspoon Sriracha hot sauce. Use a large spoon or laddle to stir everything together. 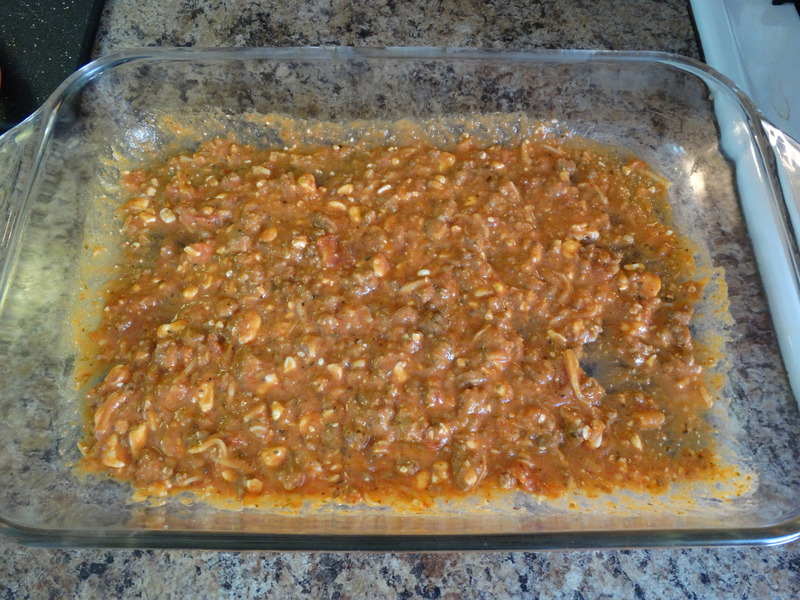 3) Ladle one cup of sauce into the bottom of a 9″ x 13″ baking dish. Spread it around to coat the bottom of the dish evenly. Add one layer of noodles over the sauce. Then ladle 2-3 cups of sauce, spreading it evenly over the noodles. 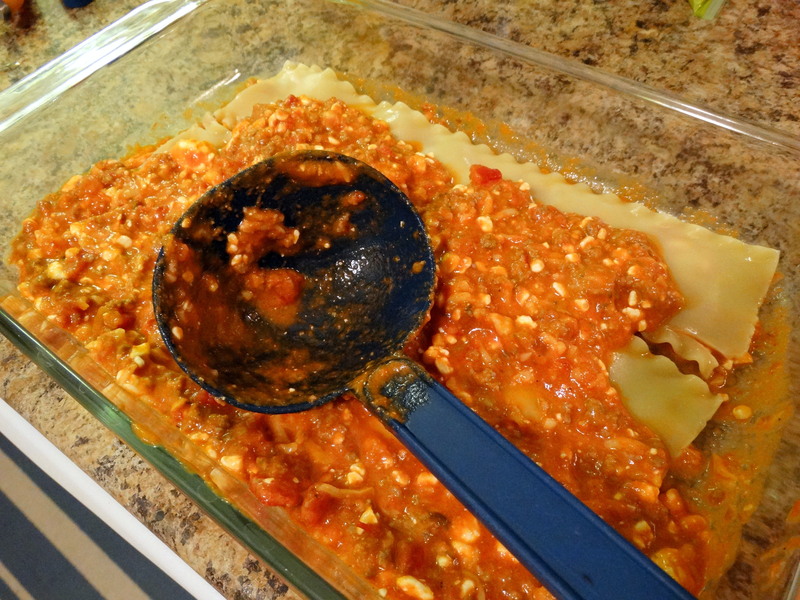 Continue alternating layers of noodles and sauce until you are about a half inch from the top of your baking dish. 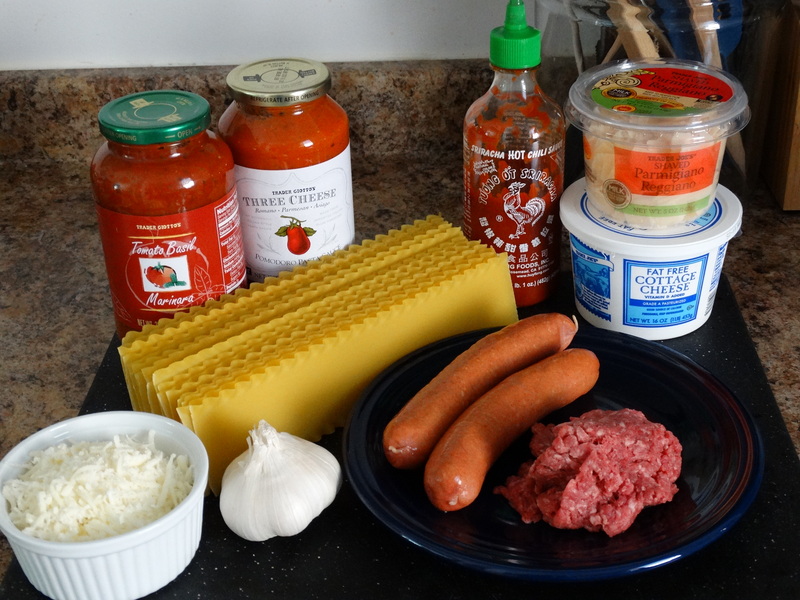 Top your lasagna with any remaining sauce. 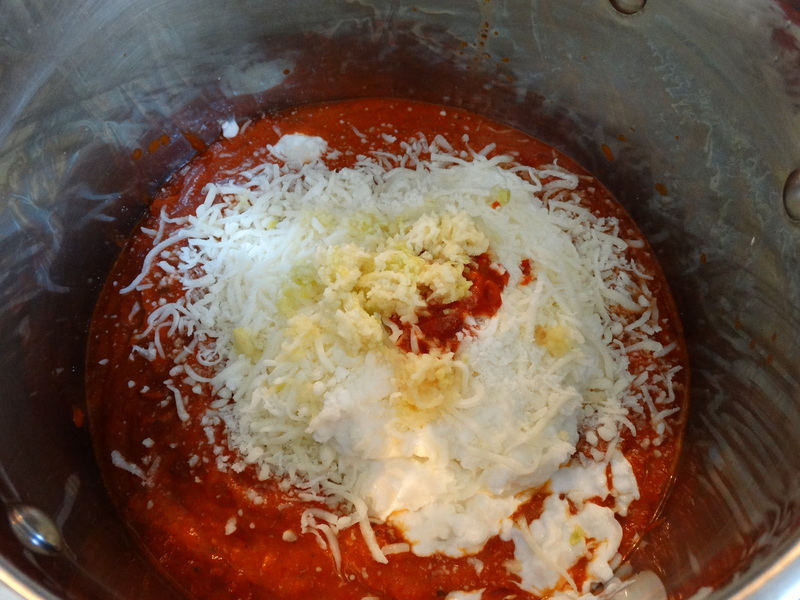 Then sprinkle it with a handful of mozzarella and a cup of shredded or shaved Parmesan cheese. 4) Spray the underside of a sheet of foil with cooking spray. 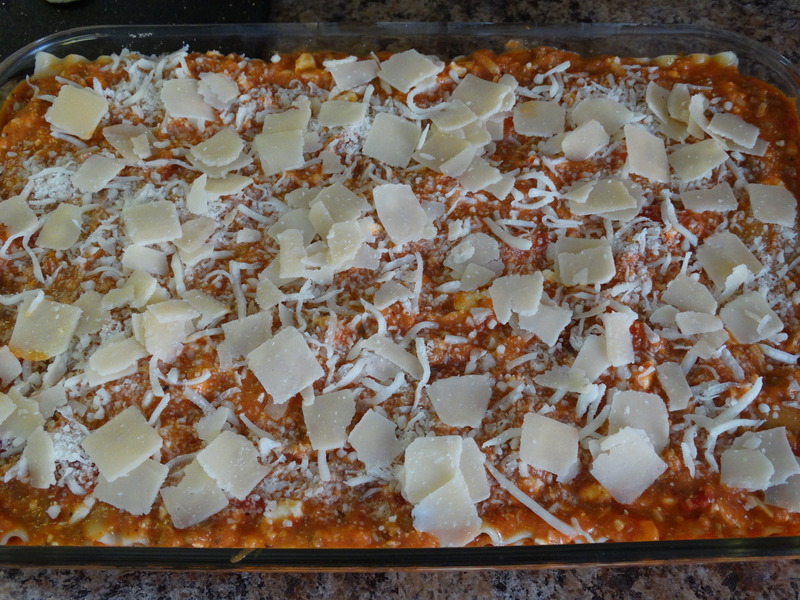 Cover the lasagna and bake for 45 minutes or until bubbling. Remove the foil and cook for an additional 15 minutes to brown the top. Cool for 10 minutes, serve, and ENJOY!